How does living and working in New York shape contemporary studio practice on the level of scale, geography, and day-to-day organization? 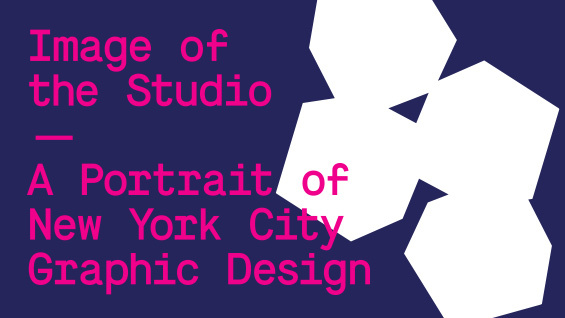 What does graphic design in New York look like? In attempting to answer these questions Image of the Studio will assemble a cross-section of over 75 graphic design firms in New York, from large and medium-sized firms to collectives and one-person studios, using information graphics, data-mapping, and family trees to trace the interconnections and divergences that both connect and separate them. In addition, each studio will contribute a studio portrait, work samples, documentation of its workspace, and an original piece created specifically for the exhibition. Bringing these elements together, the exhibition aims to offer a shared portrait of what it means to be a New York design studio, mapping the contours and tracing the edges of a dynamic discipline in a city that is itself always in flux. In addition, the exhibition will host short lectures, panel discussions and studio visits, as well as an archive of video interviews. Taken together, these various aspects of the exhibition will not only serve to document the contemporary moment in graphic design in the five boroughs, but also function as an opportunity for self-reflection on how New York designers see themselves. The exhibition is co-curated and organized by the Herb Lubalin Study Center at The Cooper Union and the creative studio Athletics. It will be on view October 1–26, 2013, at the 41 Cooper Gallery at Cooper Union. Exhibition hours are Monday–Friday 10am–6pm and Saturday–Sunday 12–5pm. The opening reception is Tuesday, October 1 from 6–9pm. The exhibition and the opening reception are free and open to the public. Exhibition sponsored by Adobe Typekit.